Hello, from the other side of the voice; may we have your attention please. 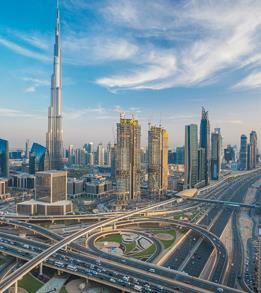 Words will definitely fall short to describe the beauty, architecture and elegance of Dubai. 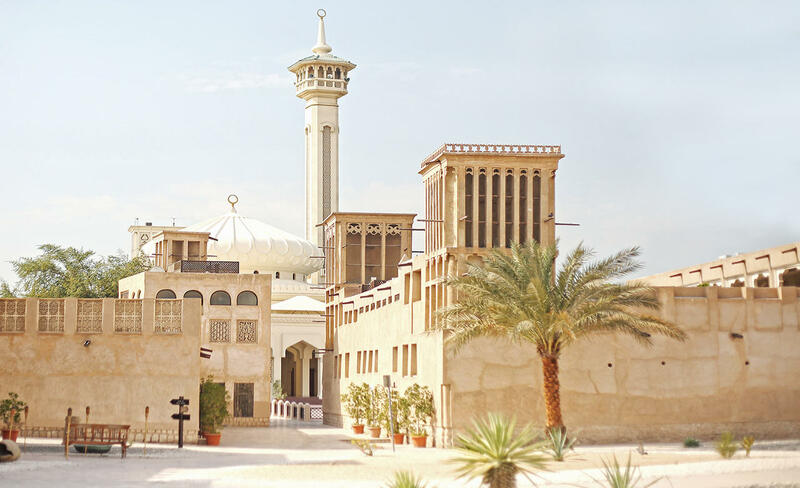 It has something for everyone, each and every thing of Dubai which leave you mesmerized. 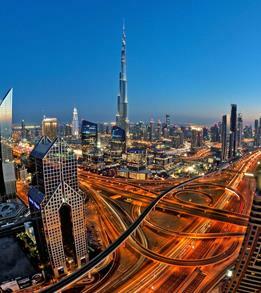 Just fall in love with Dubai with our International Tour Packages. 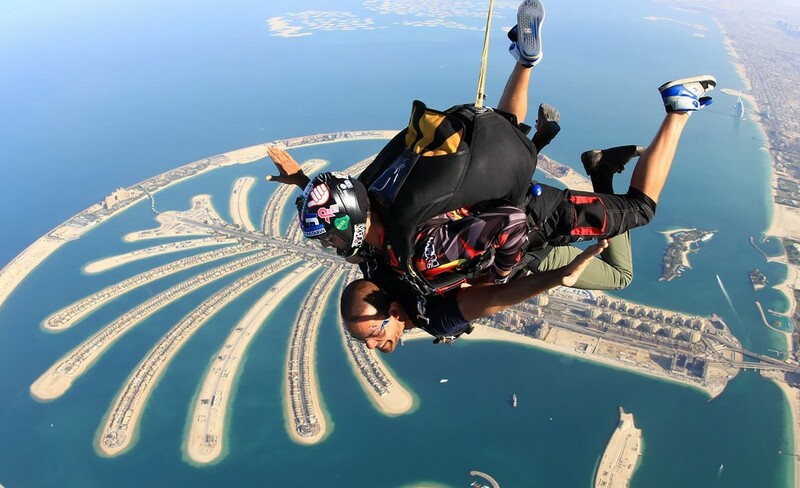 If there is one thing which all the adventure junkies need to do in Dubai, it has to be Skydiving over the Palm Jumeirah Island. 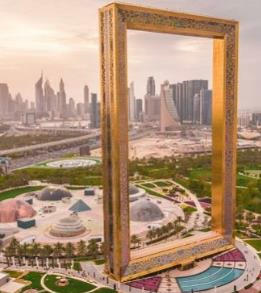 Considered to be the most premium drop zone, this is a once in a lifetime experience offering you eminent views of the most iconic attractions of Dubai such as Palm Jumeirah Island, Burj Al Arab, Dubai Marina and Ain Dubai. 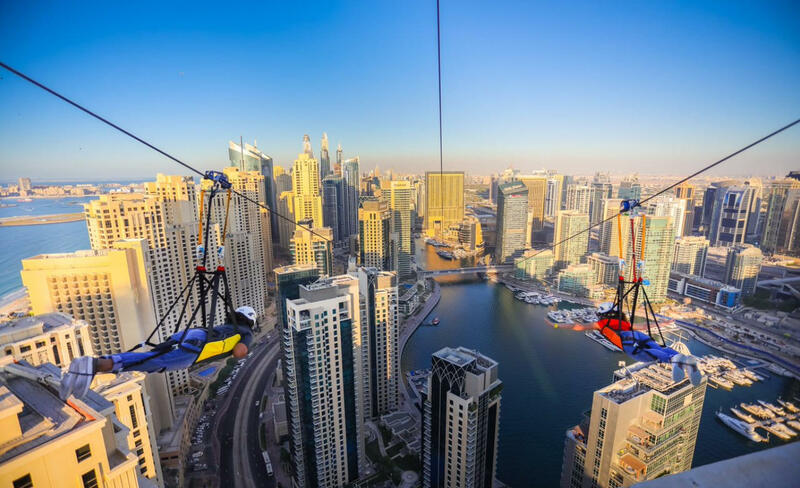 Zip-lining through the magical Dubai Marina is definitely one of the craziest zip-lining adventure you would ever experience in your lifetime. The fabulous backdrop of Burj Khalifa while zip-lining adds an altogether different charm to this adventure. However, a few things which you should keep in mind include that you should weigh in between 50kg- 110 kg and your height should not exceed 2.10 metres. 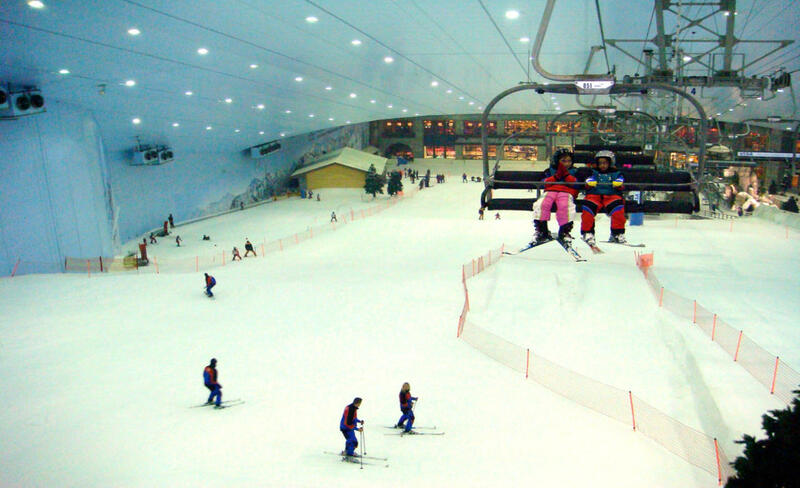 The Indoor Ski Park is located in the Mall of Emirates and features an eighty five metre high indoor mountain. A temperature of -1 degree Celsius to 2 degree is maintained throughout the year and offers its visitors a unique experience. The Ski Park is located in a total area of 22,500 square metres. Yess! You read that right. 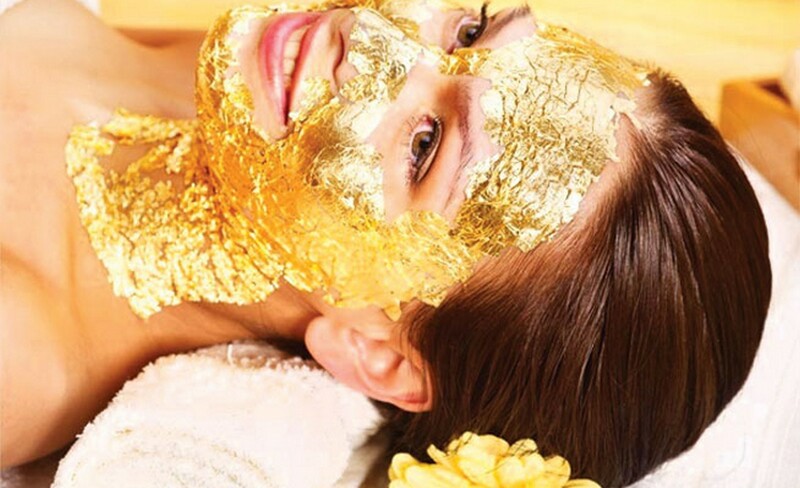 Take yourself back in time and relive the Egyptian era while you get yourself treated with a 24 Carat Gold Facial Treatment which is potentially rich in antioxidants and contains anti-inflammatory properties. This treatment is perfect if you are planning to reduce dark spots, head to a special occasion or simply get this experience. If there is one thing which any tourist looks forward to when visiting Dubai, it has to be the Gold and Spice Souks. While, each of them has their own charm and significance, Gold Souk consists of 380 retailers selling items of gold, platinum and diamond. 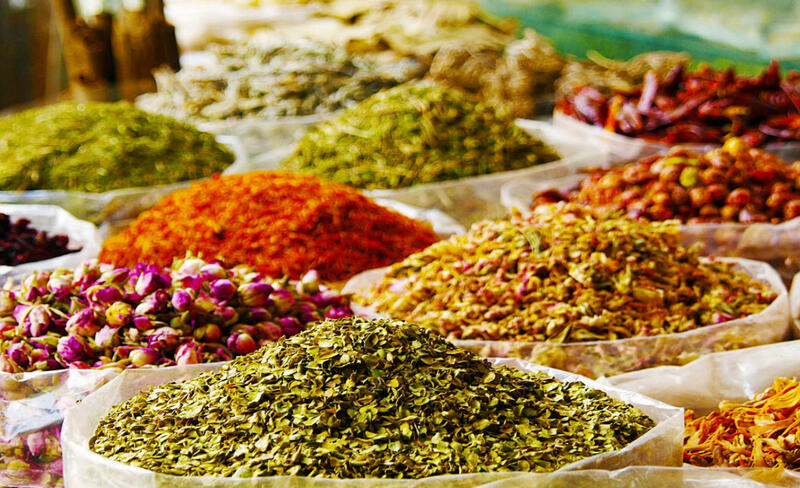 Spice Souk is located adjacent to the Gold Souk and consists of several stores selling a variety of spices. One of the most traditional modes of transport, Abra is a symbol of the city’s heritage and history. 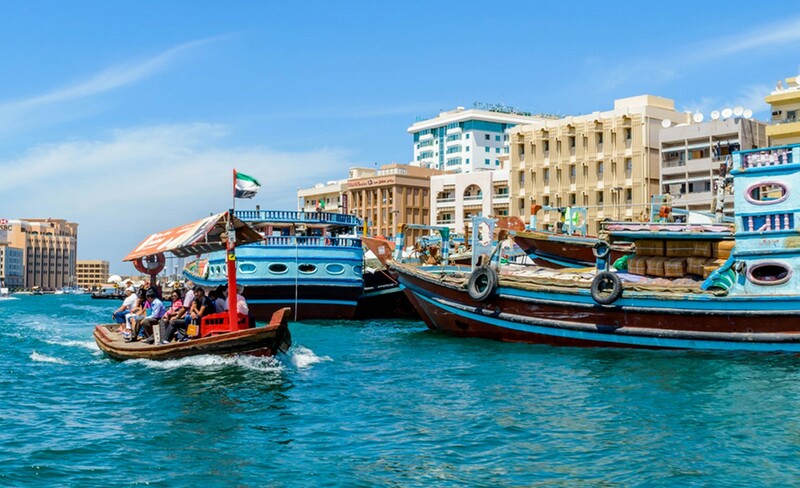 An Abra ride gives you the chance to cruise half-boat, half-raft around the Dubai Creek and get a glimpse of Old Dubai. You can also hop onto an air-conditioned Abra which is a perfect combination of traditional Abra and the latest technologies. 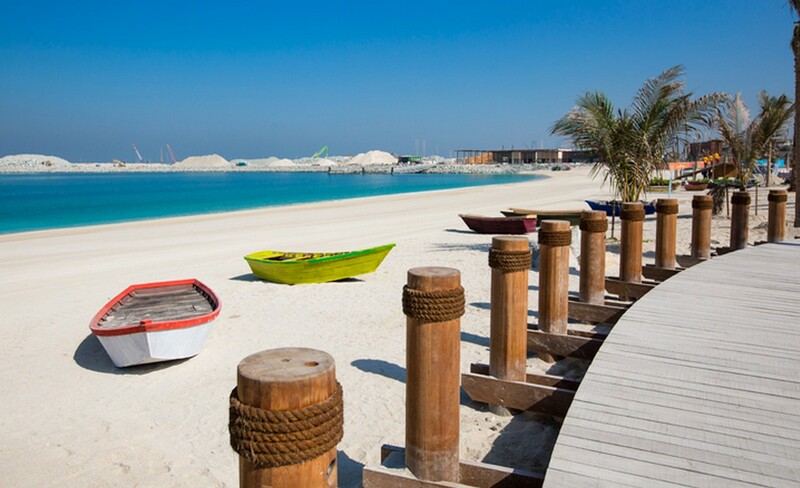 La Mer Beach is Dubai’s famous beach front that extends right up to the sea and presents to its tourists a stunning destination to relax. Visit La Mer Beach with your friends and family and enjoy a quiet day at the sea or make yourself a part of the water-rides. La Mer Beach is not only about tranquil waters but also offers a treat to your eyes in the form of the palm trees, contemporary graphics, minimalist designs etc. 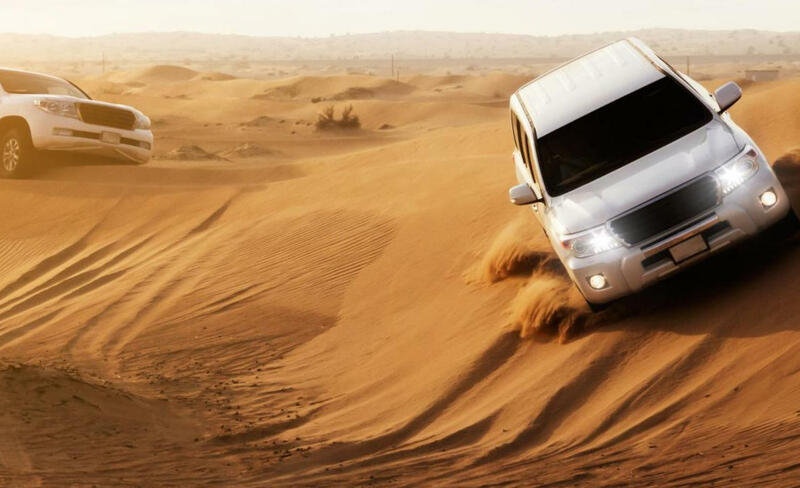 Experience the Dune Bashing Experience in Dubai Desert Safari when you set out for a thrilling ride with some of the best professional drivers. Make yourself a part of the Morning Desert Safari or the Evening Desert Safari and if you wish to experience something really extra-ordinary then indulge yourself in the overnight Desert Safari which is an ethereal experience to say the least. Gorge into some delicious barbecue after you have done the safari rides. If you are a tea connoisseur then do not miss out on sipping a one of its kind tea in Dubai- Filli Tea. 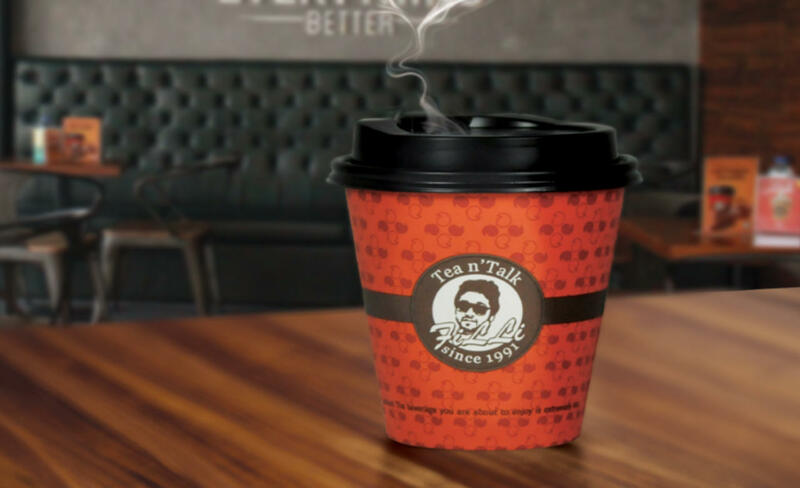 Filli Tea is a special kind of Zaffrani tea served in Filli Café and in today’s time they are selling a total of 30,000 cups everyday across all their stores. You can take this tea back home for the ones who love tea. Al Bastakiya is a historic district in Dubai and the construction of this district dates back to the early 1890’s.The old buildings and lanes were restored in 2005.Today, when you visit the historic Bastakiya Area, you would come across several art cafes, NGO’s, Coffee Museum and the famous Mawaheb Gallery. 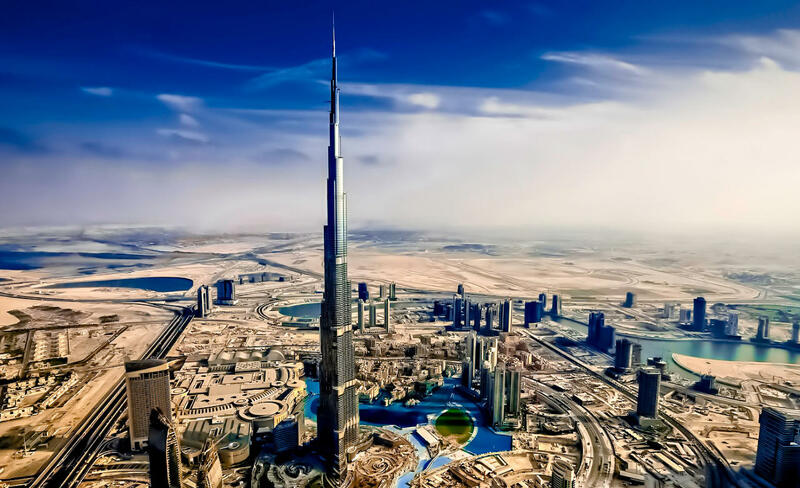 A dream for many, discover an experience like never before when you reach the top of Burj Khalifa from where you can witness the entire Dubai. Witness the gorgeous sunrise and have hearty breakfast at the top or compliment your journey with a rooftop dining that has its own charm and importance. 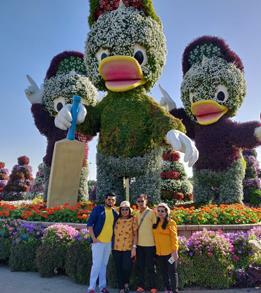 Our 21 Jan Dubai Trip was excellent. It was a GRAND SUCCESS which filled our hearts with immense pleasure. Disha Patel ,our journey begins. Her capacity to explain all points of tour was par excellence. She has all proper answers to quarries. Thanks to her Hotel selection , accommodation & different food provided by u were excellent. We forgot our home food for 7 days. 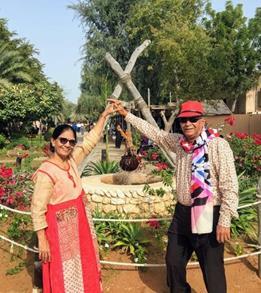 Staff of ur DUBAI AGENT CLEAR TOUR was very cooperative &guideful. Thanks to TAIMUR BHAI. Coach & coach captain were decent. VIVEKBHAI TOUR GUIDE was very informative ,knowledgeable & humongous. Lastly our Manager MR AKBARBHAI IS GREAT. His behavior,ability to providing personal care with smiling face was great. intact& like a family & filled JOSH in us by his active participation in activities. Absolutely Parashbhai , Vivekbhai and Harshilbhai did a very very great job till we went to sleep from woke up in the morning! It would not be possible to say enough about our tour manager Parashbhai's qualities in terms of knowledge, ability and the way he entertained us! He has wide experience, knowledge, information and pleasure..! Hotel and restaurants exceeded all expectations. In all cases we were very impressed and surprised. Food was great and varied! And our tour manager had surprised us many time at very occasion possible. It is not possible to indicate how excellent this tour was for me, for all of us! Everything was perfect! Thank you so much Team Flamingo. 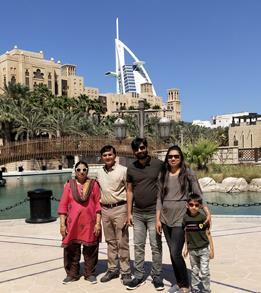 I just completed our Dubai tour with my Family. I book Private tour from Flamingo. It was a great experience for me of tour. Its bring unforgettable tour made by Flamingo. Very good service of all things. Day to Day planning is very important and I get best planning from Flamingo. Its a Great tour with nice experience. It Was Great Fun We Enjoyed So Much! Hotel - they given ur hotel near meena bazaar was fabulous, room was so big, with kitchen staff was very helpful . Mr.Imran and Mr Dhrumil whom i book my trip, he has given me best rate, n best internary as per as my requirement, both was so much helpful..
Really you guyz r excellent. N defiantly i will book other trip with flamingo. 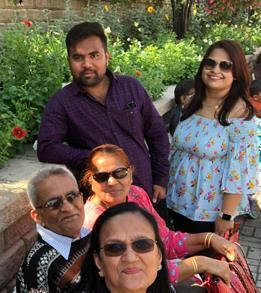 It was a great pleasure and awesome experience for all of my family members to travel to Dubai in association with you all. This was the 2nd time, I was travelling in association with Flamingo in past 18 months and I duly say it was great fun. I would specially like to thank Harshita and Bilal for all the support and guidance throughout my planning of the trip and during the course of the trip. 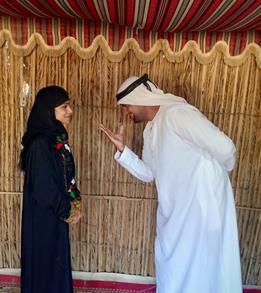 I would also like to thank the local Dubai Agent, Overnet Tourism for all the guidance during the trip. I have always recommended Flamingo to all my friends and relatives and will do the same in the future.